Priced below KBB Fair Purchase Price! CARFAX One-Owner. 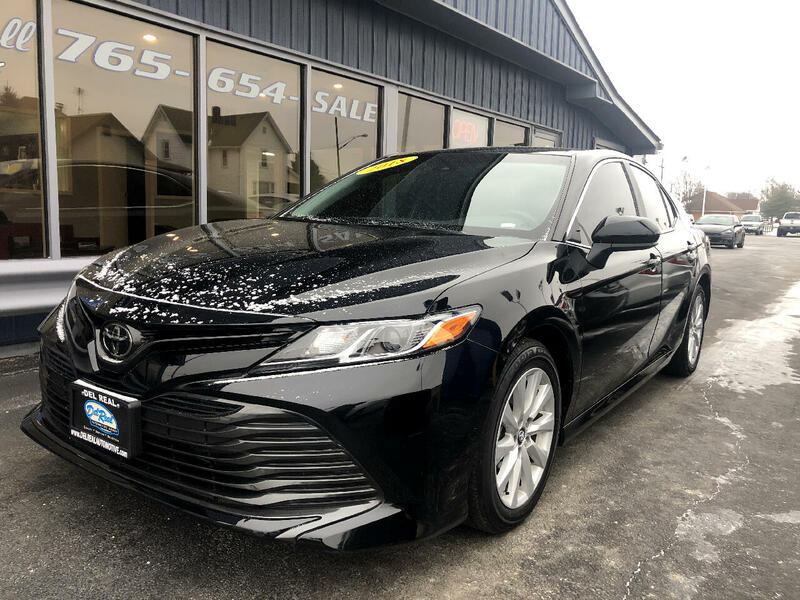 2018 Toyota FWD Camry LE 8-Speed Automatic Black Bluetooth, Hands-Free, Backup Camera, Automatic, 4D Sedan, 2.5L I4 DOHC 16V, Ash w/Fabric Seat Trim, ABS brakes, Electronic Stability Control, Illuminated entry, Low tire pressure warning, Remote keyless entry, Speed control, Traction control. PROUDLY SERVING CENTRAL INDIANA ( Frankfort, Lafayette, Crawfordsville, Noblesville, Lebanon, Indianapolis, Anderson, Fort Wayne, Elwood, Logansport and many others.) FOR OVER 30 YEARS! Selling used, Preowned and Certified vehicles some under 10k and under 5k. GM Ford Chrysler Dodge, Chevy Pontiac, Buick, Honda, Toyota, Nissan, Kia ,F150, Silverado and many more!! Some cars under 10k and even 5k.